Updated April 9, 2019: Thank you for sharing your reading choices with us! We’ve contacted the winners of this drawing. 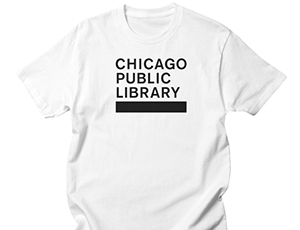 Adults, read along with us this winter and be entered in a drawing for a Chicago Public Library T-shirt or a copy of Do Androids Dream of Electric Sheep?, this year's One Book, One Chicago selection. This month, read a science fiction book or a nonfiction book on science or technology as part of this year's One Book, One Chicago theme of Imagine the Future. If You Liked Do Androids Dream of Electric Sheep? Let us know in the comments which book you're reading. In March we’ll draw winners from all the entries. Watch for new challenges and more chances to win in March! Reading more than one book? Feel free to leave multiple comments, but please note the drawing will include only one entry per reader. 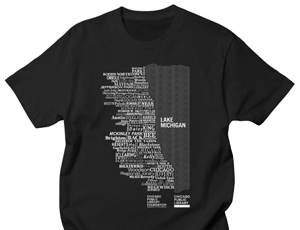 CPL staff, please share what you're reading, but please note staff are not eligible to win. Thanks to the Chicago Public Library Foundation for supporting our challenge. Which science fiction or science/technology book are you reading this month?